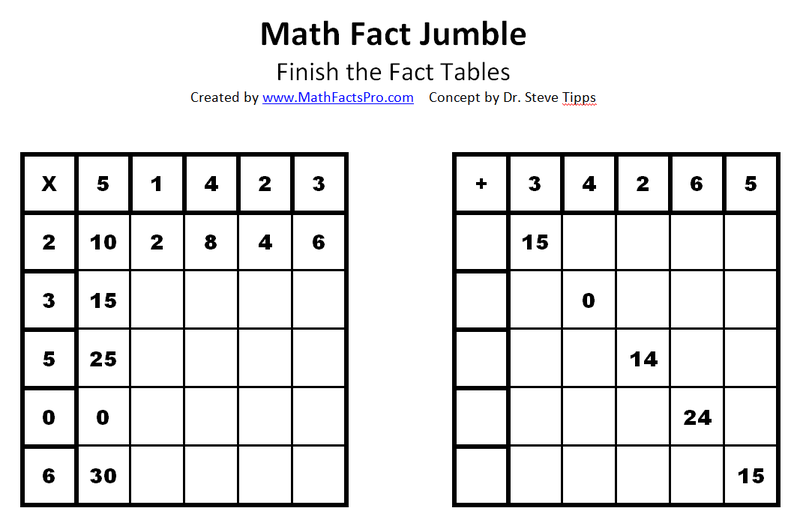 Math Facts Fluency Blog: Math Fact Puzzles! Just found some fun math fact puzzles! They were in a good PowerPoint presentation by Paula Swanson, from Boise, Idaho. She has a good summary of the research, and some great practical applications, which include conceptual learning. It's worth the read, if you are looking for more information/resources. We really hope to implement some research based changes when we convert our program out of Flash, especially allowing teachers to focus on fact families and select the fact order they use in teaching their classes. Meanwhile, here are some Word documents for Math Fact Find and Math Fact Jumble that you can easily adapt to your needs: to different levels, operators, etc. Each file has a addition/subtraction example, and a multiplication/division example, as well as a blank form that can be used to create your own (or for students to create them). 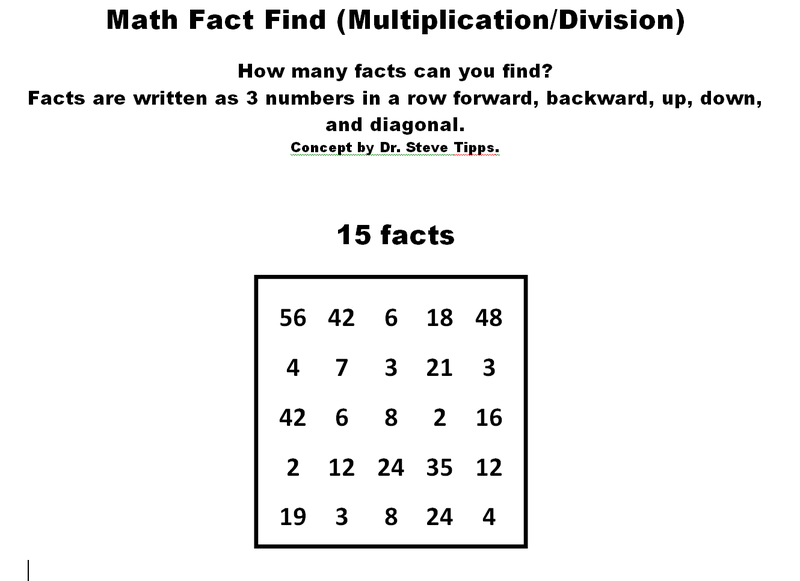 Here the Math Fact Find and Math Fact Jumble documents in .pdf format. And below you can see what the puzzles look like. Have Fun!